Microsoft gets its Xbox Live Block Party started right, scheduling the weekly releases of Toy Soldiers, Scrap Metal, Perfect Dark, and Game Room, with a chance for players to score Microsoft points and a month of Xbox Live Gold. 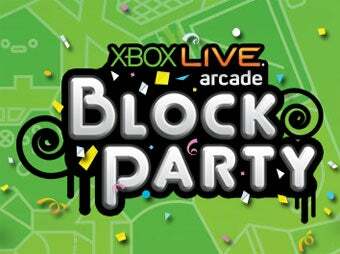 The Xbox Live Block Party is a month-long celebration of....something or another, taking place over the course of next month, punctuated by the release of some major titles for the Xbox Live Arcade, including Rare's update of Perfect Dark and Game Room, Microsoft's free, avatar-driven retro arcade application. So picking up each game and the free download of Game Room will run you $40, but Microsoft is softening the blow to your wallet, with folks who purchase the whole shebang scoring 400 bonus MS points, along with an extra month of Xbox Live Gold for current Gold subscribers. Once all of the games are released, Microsoft is holding a free online play weekend for the Block Party titles from March 26 to March 29, giving Silver members a chance to see what they're missing out on. So, what are you folks planning to buy?